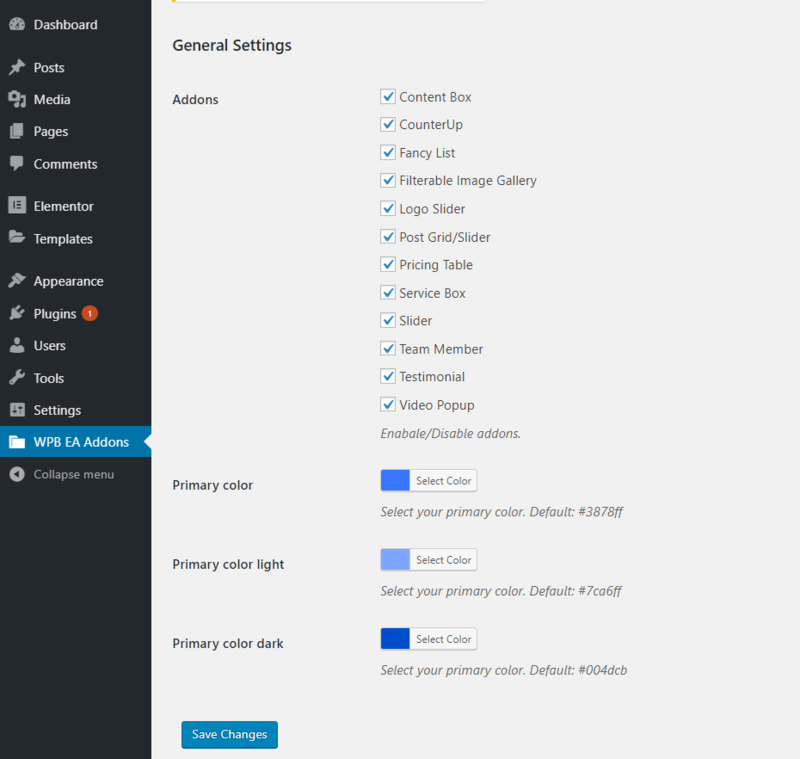 Here you will find all the necessary settings of the plugin. You can deactivate any widget if you think it’s not necessary for you. You can change the default colors to your preferred color. There are three color options here.